Career Opportunities - Star Drive Wood Screws - Screw Products, Inc.Star Drive Wood Screws – Screw Products, Inc.
Are you here looking for new Career Opportunities? Screw Products Inc. is a Master Distributor of wood and composite fasteners. We were established in 1999 and are headquartered in Gig Harbor, WA. 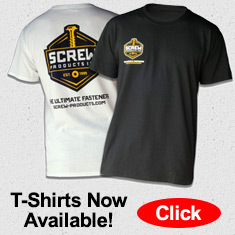 Screw Products Inc. has built an international customer base that is rapidly growing. We strive to deliver excellence, from the inside out. Are you energetic and good with people? Looking for an opportunity in Washington State as an Outside Sales Associate? Fastener experience is not a must, but a plus! Find out more. This position will play a fundamental role in achieving our ambitious, customer acquisition and revenue growth objectives by delivering exceptional service and supporting positive relationships with customers and staff. Find out more. This position will play a fundamental role in preserving our outstanding customer base by delivering exceptional service and supporting positive relationships with both team members and customers. Find out more. We are hiring a full-time warehouseman. Our company imports screws and repackages them. Our screws are sold around the world. Find out more. We are hiring a full-time Production Worker. Our company imports screws and repackages them. Our screws are sold around the world. Find out more.